Never settle for something that is less than the best! 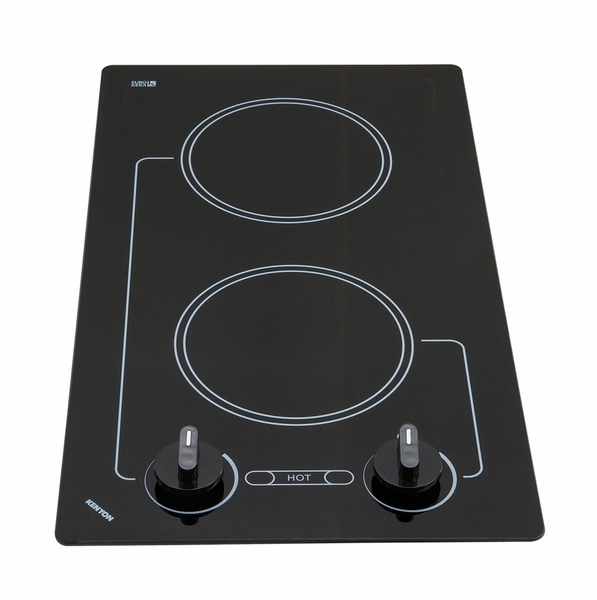 With the Caribbean series of cooktop appliances, you have products that are at the top of the line when it comes to quality and are more than capable of giving everyone the very best service. 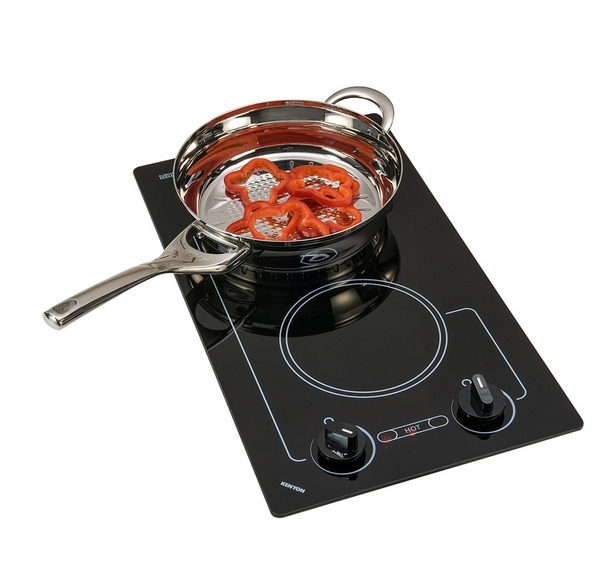 This particular 2 burner cooktop comes with a very elegant shade of black, and its 208 volts electric system is UL/C-UL approved, thereby guaranteeing to you that not only will you be receiving a product that is of the highest quality or is extremely safe to use, but also that it will provide your family with many repeated uses. How high and where does the electrical come out? The electrical connection and conduit connection are located just below both switches on the bottom of the burner. This includes a 36" conduit lead to be hardwired. 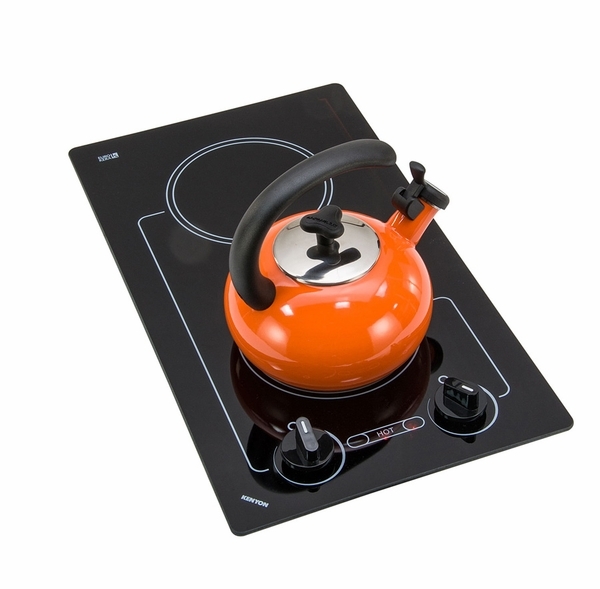 I purchased a Kenyon B41511 Mediterranean 2 burner cooktop. I am now purchasing a baseboard cabinet over which to mount it. Since it is 14.25" wide, I presume it will mount in a 21" wide cabinet. I see some cabinets are called cooktop cabinets which have a metal rail across the front and back. Is this necessary? I only found 24" cabinets for cooktops and I want to fit it in a 21" space. 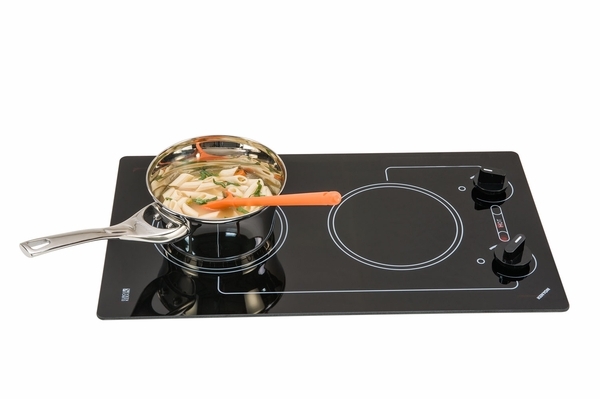 There are no specifications on installing the Kenyon B41511 Mediterranean 2 burner cooktop to a "cooktop" cabinet. Any 21 inch cabinet should work as long as the cooktop can fit safely within the required clearance measurements specified in the manual.